*** cash buyers only*** A three bedroom double glazed, partly central heated mid terrace property. The property is partly refurbished and is in need of some further tlc. This would make an ideal project for any keen developer to work their magic on. 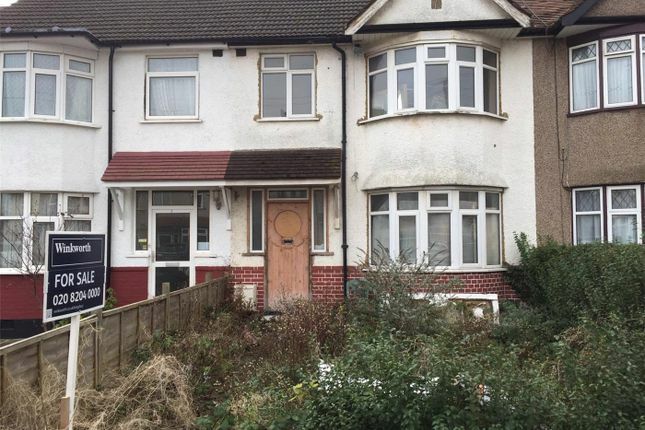 Requiring a kitchen, this 3 bedroom house is partly gas central heated with most of the work completed on the first floor. Located just off Salmon Street, the property is in close proximity of the breath taking green spaces of Fryent Country Park, good selection of shopping and public transport facilities and Primary and Secondary schools. This is a rare residential development opportunity and is definitely worth viewing.